Let customers find you wherever and however they search. Update the public facts about your business once and publish it in the most important places with a single click. WooWho Network's Media Listings Manager makes that possible via direct integrations with more than 100 global maps, apps, search engines, voice assistants, directories, and social networks. We put you in definitive control of your information so that consumers find accurate, complete, and consistent facts about your business at every turn. Incorrect or inconsistent business information can frustrate your customers and have a major impact on your search rankings. 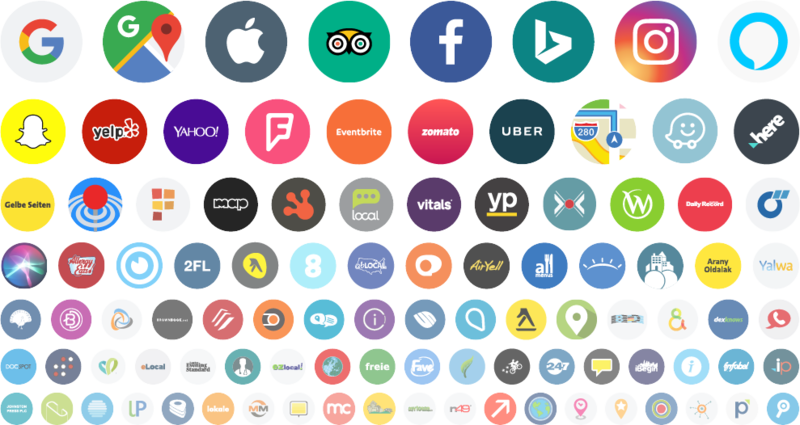 The Yext LocationManager has direct integrations with the internet’s largest and most influential network of search engines, maps, apps, voice assistants, review forums and social networks. With your business data under control, potential customers will find you when searching for the products and services you offer. Search engines will also feel more confident recommending you to their users when they find accurate, consistent information everywhere they look. Yext puts you in control of your business information across 70+ digital services. Direct integration with these data sources puts you in definitive control of how your business listings appear — everywhere customers search. Use our Listings Scan Tool to learn how consumers see your business listings and profiles in local search results, and scan your online presence for accuracy and consistency. The Listings Manager enables you to take full control of your business’ location data across the Internet’s largest ecosystem of maps, apps, social networks, directories, and search engines including Google, Apple Maps, Bing, Yahoo, Yelp, MapQuest, Facebook and dozens more, all from one easy to use dashboard. The Listings Manager Ultimate dashboard allows you to efficiently manage your reputation and generate reviews across popular and influential sites, including Google, Yelp, Foursquare, CitySearch, Facebook and others. To impress potential clients, and boost search rankings, it even allows you to display reviews on your own site in a format that is universally recognized by major search engines. Optimize Your Business Information Across Major Publishers to Fully Enhance Your Search Visibility! PowerListings integrates with hundereds of leading brands to keep your business information and data up to date - everywhere it counts.